Amazon (UK). Contact the author if you would like one of the few remaining paperbacks. 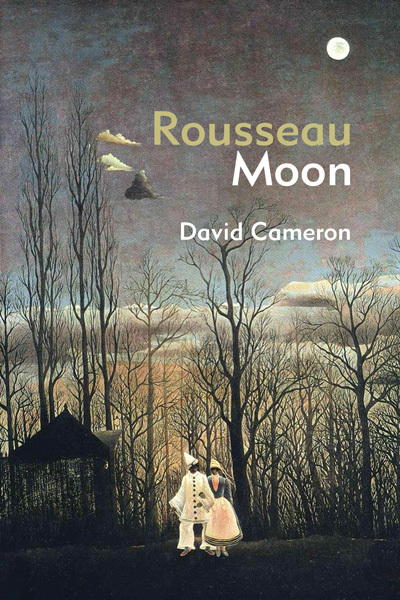 Rousseau Moon, David’s debut collection, consists of a novella and 14 short stories. It was critically accaimed on publication in 2000, was longlisted for the Saltire Scottish Book of the Year Award, and was chosen by Robert Nye as one of his Books of the Year in The Scotsman. It has recently been republished as an ebook. The book’s stories were well described on publication as ‘pictures of contemporary life and primitive longing’. Read the short story ‘Peaches and Monkeys’ Tails’.